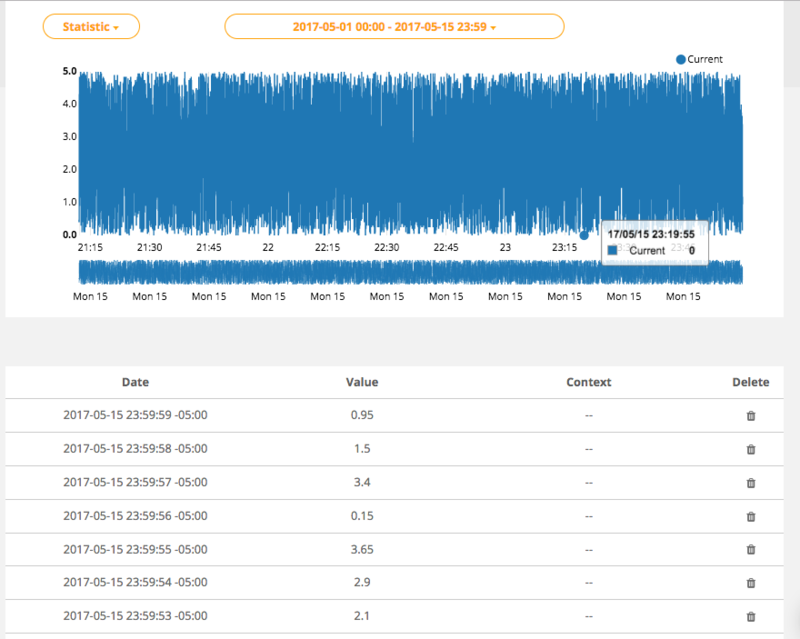 In Device Management you can visualize a specific variables' readings without returning to a dashboard. Choose any device and a variable to visualize more insights. By default, the values displayed correspond to the latest readings; however, by clicking the button containing the date displayed above the chart, you can customize the data displayed to a hour, day, week, or custom date.